According to public health data, the US Hispanic population is far healthier than would be expected for a population with low socioeconomic status. Ever since Kyriakos Markides and Jeannine Coreil highlighted this in a seminal 1986 article, public health researchers have sought to explain the so-called “Hispanic paradox.” Several candidate explanations have been offered over the years, but the debate goes on. This article offers a philosophical analysis that clarifies how two sets of obstacles make it particularly difficult to explain the Hispanic paradox. First, different research projects define the Hispanic paradox phenomenon in substantially different ways. Moreover, using Bas van Fraassen’s pragmatic theory of explanation and Sean Valles’s extension of it with the concept of “phenomenon choice,” it also becomes clear that there are also multiple ways of explaining each individual definition of the phenomenon. A second set of philosophical and methodological challenges arises during any attempt to study “Hispanic” phenomena, with one key challenge being that the “Hispanic” panethnic concept was intentionally made vague as it was developed and popularized during the 1960s–1970s. 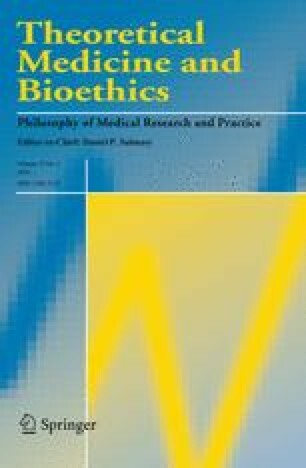 After comparing this case with similar cases in the philosophical literature, the article concludes with observations on what makes this problem unique, particularly its ethical features. I am grateful to Raj Bhopal and Jamie Nelson for their comments on this article. I am also grateful for input on the project from: Matthew Haber, James Tabery, the audience members of the University of Utah Department of Philosophy colloquium series, the attendees of the 2013 Philosophy of Medicine Roundtable, the 2014 meeting of the American Philosophical Association-Eastern, and the 2014 meeting of the Philosophy of Science Association. World Health Organization. 2013. What are social determinants of health? http://www.who.int/social_determinants/sdh_definition/en/. Accessed June 27, 2014. Kessler, Glenn. 2015. Is there a link between the measles outbreak and illegal immigration? The Washington Post. http://www.washingtonpost.com/blogs/fact-checker/wp/2015/02/06/is-there-a-link-between-the-measles-outbreak-and-illegal-immigration/. Accessed Oct 11, 2015.